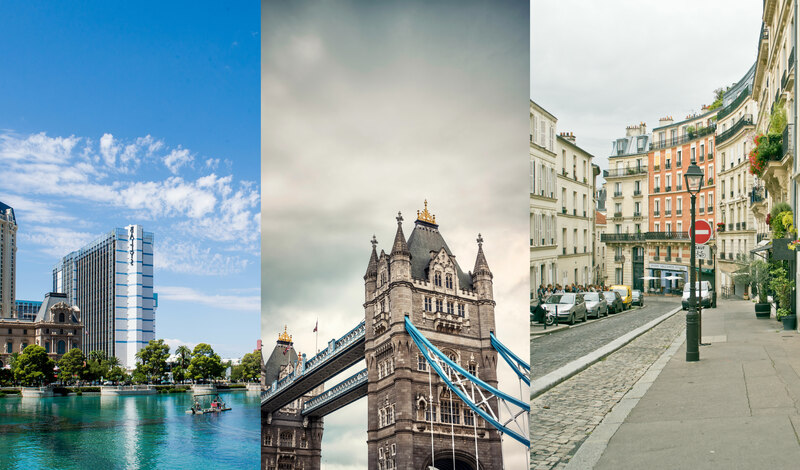 PayByPhone Expands Global Reach with Royal Flush, winning Las Vegas, Kensington and Chelsea, and three additional French cities. September 15, 2016 – PayByPhone, the world’s leading parking payment provider, continues to solidify its global reach with recent contracts in Las Vegas, the Royal Borough of Kensington and Chelsea (RBKC), and 3 additional cities in France. Implementing the PayByPhone service was an obvious choice based on the company’s market leading service, world class apps and history of high adoption in major cities such as Vancouver, Canada (50%), Miami (67%), and Massachusetts Transportation Authority in Boston (90%). Combined with a suite of location aware services that allow the app to automatically adapt to a user specific situation, PayByPhone offers a completely seamless experience in over 300 locations around the world. PayByPhone, who will be replacing both Passport Parking and Parkmobile, will be live in Las Vegas as early as this fall. The city is set to join the University of Nevada, Las Vegas (UNLV) and a huge network of west coast installations that make up millions of North American users already enjoying the service. The availability of PayByPhone in over 11,000 spaces across Las Vegas and UNLV offers a new level of convenience and payment security for residents who are parking. Residents will also appreciate that the entire service, including live 24/7 customer support, offers Spanish language support which is essential for the City’s 184,000 Spanish speakers. In the United Kingdom, PayByPhone has been the pilot mobile payments provider for RBKC since 2015 and has already driven adoption past the 50% mark in trial areas. PayByPhone’s new contract with RBKC increases the service’s availability to over 800 locations across the London Borough. The new contract solidifies PayByPhone’s presence in London across residential, rail and retail parking spaces. Within Europe, PayByPhone has seen exceptional growth and development in France with new launches in Caen, Orléans, and Noisy-le-Grand. This is in addition to 10 cities that recently joined the PayByPhone network in the first half of the year. Recently the PayByPhone app was featured in Apple’s Summer of Apple Pay campaign which was released nationwide in the United States. The program has resulted in positive adoption of Apple Pay in many major cities, including San Francisco, where up to 25% of users use Apple Pay when completing a PayByPhone transaction. PayByPhone is one of the fastest growing mobile payments companies in the world, processing more than $300 million in payments annually. Through the company’s mobile web, smartphone and smartwatch applications, PayByPhone helps millions of consumers easily and securely pay for parking without the hassles of waiting in line, having to carry change or risking costly fines. Registration is quick and easy and the app reminds the user when their parking is about to expire, allowing them to top up from anywhere, at any time.